Independent Music takes Centrestage with the Grand Finale of ?Radio City Freedom Awards? Mumbai, 31st May, 2013: The celebration of indie music reached a crescendo with the grand finale of ?Radio City Freedom Awards?. The best of indie music got recognized amidst scintillating performances. Nominations were invited across 8 genres of Hip-Hop Rap, Folk Fusion, Pop, Rock, Metal, Electronica, Video and Album Art. A whopping 700 entries were received across genres. The final nominations featured renowned names like Agnee and Indus Creed. An average of 5 entries were shortlisted in each genre and were judged by our esteemed jury comprising of Indie music biggies Atul Churamani, Yotam Agam, Midival Punditz, Nandini Srikar and Luke Kenny. The nominations were also up for public voting on www.planetradiocity.com. The most promising entries across the nominations were felicitated with the first ever ?Radio City Freedom Awards?. The awards were categorized into the ?Judges? Choice? and ?People?s Choice? awards. The award night was a true triumph of independent music with the wing shaped trophy symbolizing the soaring of indie music. The performance by ?bulla ki jaana? fame Rabbi Shergill got the house on fire. People swayed to the beats of folk fusion & sufi as Rabbi belted out his chartbusters. From the recent hit ?challa? to lesser known ?Kaffir? songs from early years, Rabbi was electric on the stage. Upcoming singer Jasleen truly complimented him. Fusion band ?Junkyard Groove? jammed in like never before while ?Pratigya? swept the RCFA audience off its feet with its Sufi-Rock renditions. ?Midival Punditz? brought about an infectious energy to the night with their trademark fusion tracks. Speaking on the award night, Ms. Apurva Purohit, CEO, Radio City 91.1 FM, says, ?The Radio City Freedom Awards (RCFA) have been an out of the world experience. Our desire was to bring the spectacular music talent that exists in practically every corner of the country into the public gaze. The overwhelming number of registrations and the passionate voting that has built a groundswell around the independent music movement conclusively proves the importance of such a platform. The success of RCFA reiterates our belief that indie music is carving its own proud niche alongside mainstream music in India today.? Adding further, Ms. Rachna Kanwar, SVP & Business Head, Digital Media & New Business, Radio City 91.1 FM, says, ?Indie music speaks a language that is unshackled by any barrier of language, genre, geography. Indie music advocates the idea of a democracy in music or in other words, level playing field for music that is other than mainstream. We, at Radio City wanted to forward this crusade. With the celebration of indie music reaching a crescendo, in today?s award night, I think we have achieved a milestone. We will continue the movement with ?Freedom Hour? on Radio City, showcasing the winners of Radio City Freedom Awards.? 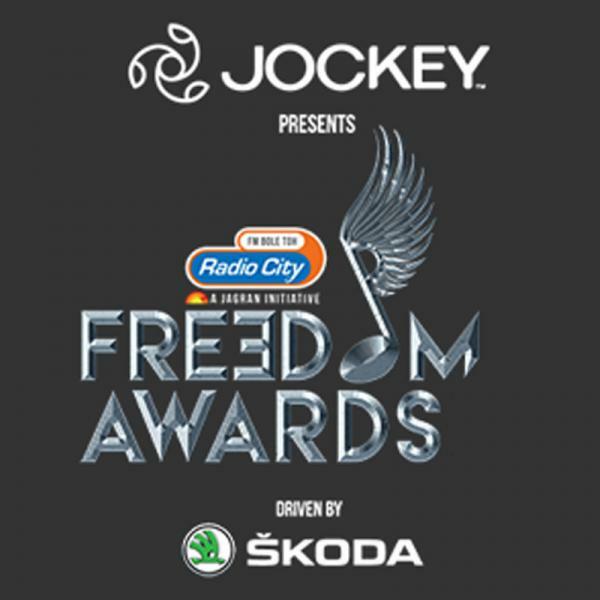 Radio City Freedom Awards has been powered by Jack & Jones with style partner Liberty foot fashion...Fashion is comfort. UTV Bindass is the official broadcast partner for the award. Log onto www.planetradiocity.com/rcfa to know the names of all the winners.